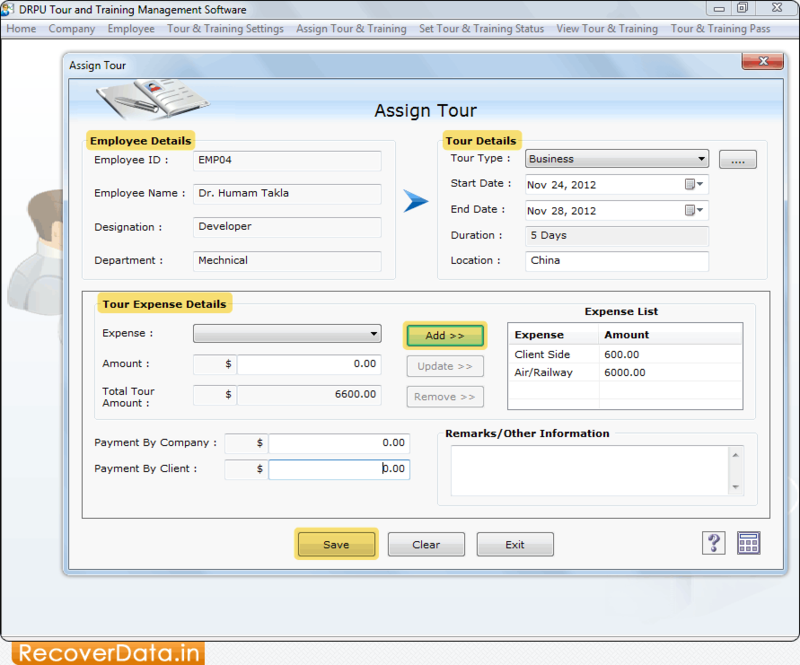 Tour and Training Management Software schedule and manage all your company employee tour and training details. Password Protected Training Management program generates employee tour and training pass for official stay. Employee Tour and Training Management software helps HR managers and business leaders to maintain complete details of employee tour and training activities. Tour and Training Management software automate employee scheduling process and reduces manual paper work. Software provides password protected feature to keep your company records safe from unauthorized users. Employee Scheduling Software provides data backup and restoration facility in any data loss scenario.